Enjoy fine cuisine accompanied by fines wines and domestic and imported liquors, served by professional and dedicated attention. From sunrise almost to noon a breakfast buffet service awaits you with unique house specialities that make our expert bakers. Nothing better than an aperitif at the Bar with international drinks before lunch or dinner and in the afternoon a tea served at the best classic European style with fine patisserie. Restaurant services are currently provided to private events.Enjoy our specialities in an environment of good style and refined attention. 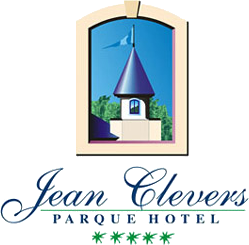 The cuisine of Parque Hotel Jean Clevers rescues the best of our meats and seafood.